This Father's Day, give the gift of high-quality coffee! If your Dad is anything like mine, he's not fond of over-priced "boutique" coffees. Unfortunately, coffee sitting on a store shelf isn't so fresh either, as even the highest quality coffee tastes bad when it's old. Instead, we suggest treating Dad to premium coffee he deserves with the Organic and Fair Trade Coffee 5-Pack Sampler from Coffee Bean Direct. This sampler contains five deliciously bold certified Organic & Fair Trade selections in resealable 1 lb. bags. We opted for coffee beans, since Dad has a coffee grinder of his own, but you can select ground coffee as well. OFT Nicaraguan SHG* – This high grown coffee produces a very well-balanced fragrant cup, featuring a complex flavor profile, light acidity, and medium body. OFT Espresso* – This Italian roasted full-bodied espresso blend produces a robust yet complex brew with a superior aroma and crema. OFT Guatemalan* – Grown in the volcanic southern regions of Guatemala, this coffee has a spicy flavor profile with notes of berries and lemon. It also has a fair amount of acidity and can be quite strong. OFT Dark Sumatra Mandheling* – These beans are very low in acidity and produce an aroma that ranges from maple syrup to dark chocolate to toasted almonds. Organic Bali Blue Moon* – This excellent coffee delivers a dry, winey crispness across the palate followed by a long pleasing finish mingling notes of chocolate, vanilla, and exotic spices with just a hint of nuttiness. Coffee Bean Direct roasts small batches of premium craft coffees all day long to guarantee a fresh taste. 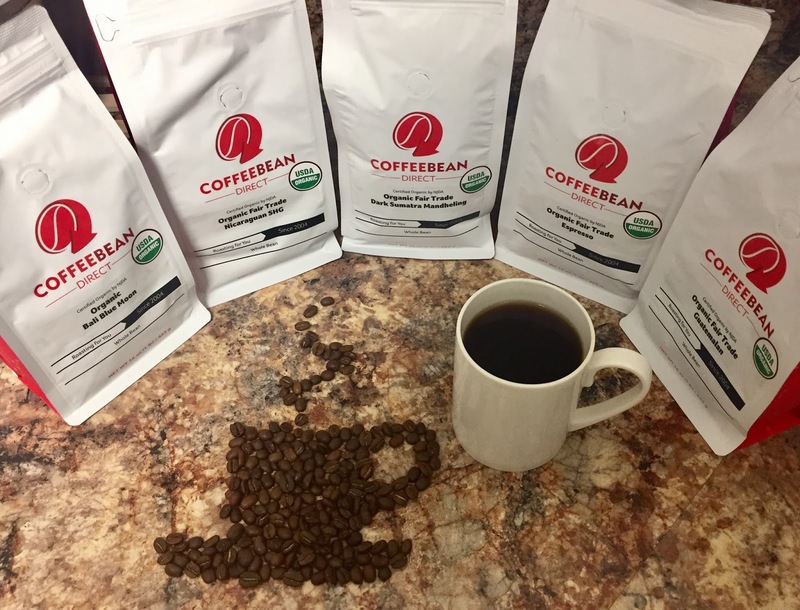 It's packaged and sent as soon as your order is placed, so your coffee has the freshest possible roast date, delivered directly to your door. Every blend we've tasted so far has been better than the expensive stuff we get at our local coffeehouses, and it's much more affordable. Have a particular coffee in mind for Dad? You can narrow down your selection by type, region and roast to find the perfect blend. Coffee Bean Direct allows you to find the best fair trade, direct-to-consumer coffee beans available from around the world. Regions include Africa and Arabia, Central America, Indonesia and India, South America, the United States and the Islands. Choose from 4 bag sizes: 25 lb. burlap bag, 5 lb. valve bag, 2.5 lb. valve bag and 1 lb. valve pouch. Browse the entire Coffee Bean Direct selection here to find the perfect roast. Free shipping on orders over $50! Disclaimer: The products in this post were provided by Coffee Bean Direct. As always, our posts are our own opinions.